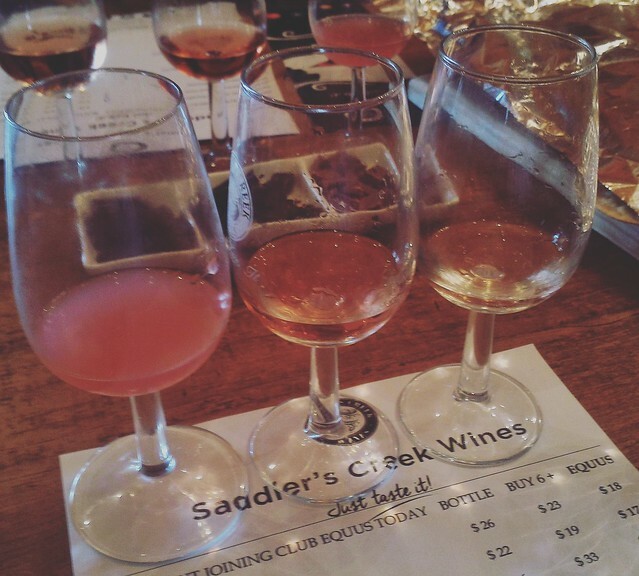 On the back of yet another great Groupon deal, we headed up to Pokolbin to Saddler’s Creek Wines for a “teasting experience”. 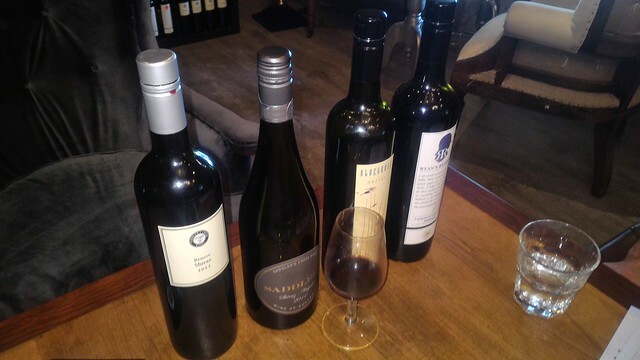 Which turned out to be two hours of wine tasting, commentary, questions and answers and delving into the nicer end of their selections! 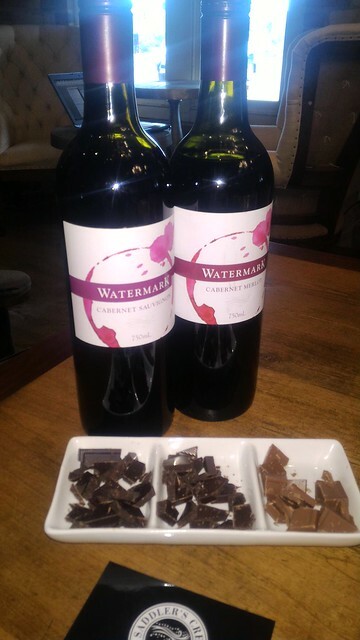 The wine was accompanied by a cheese platter, and a selection of chocolate pieces – milk, dark and dark with sea salt – to complement or clash with our wines as a means of education. 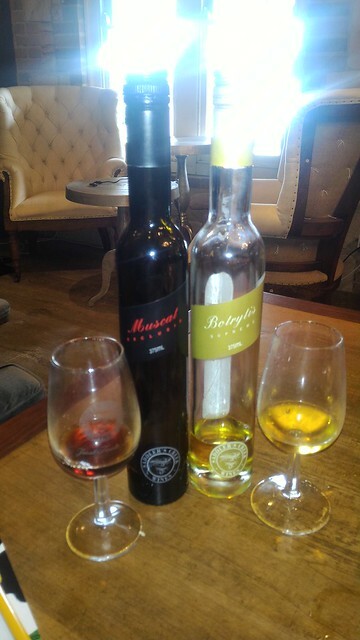 We got to sample the fresh, still in the vat Semillon and Rose, complete with yeasty tingle and cloudiness, along with the amazing Hunter 2014 vintage, which, if you made a bad wine from, you should quit the business. 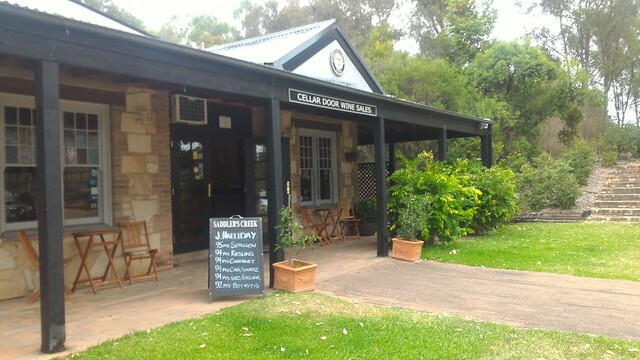 We were left along with the Shiraz range, which were all amazing, while the host attended to others visiting the cellar door. Who left me alone with some amazing Shiraz? The stickies were amazing, especially the ever-Xmassy Muscats! 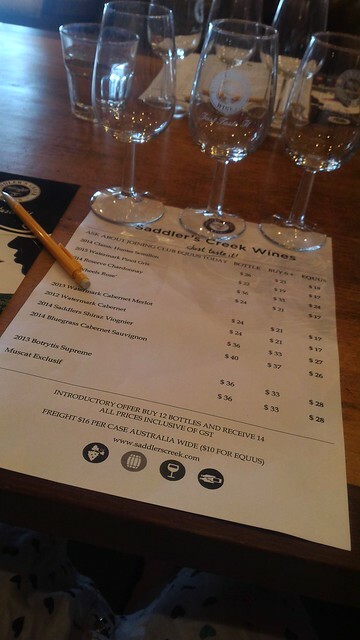 We took home a Shiraz and a Cabernet Merlot, and definitely recommend Saddler’s Creek for its wines (red, white and beyond) and hospitality!